Data loss can happen to NTFS drive when you delete a file by mistake or format partition by accident. The worst case is that lost files include all of your valuable data, for example, you are running a business which relies on lost data. How to recover lost files from NTFS partition? This might be the most asked question. If you want to know more about NTFS data loss and step-by-step guide of file recovery, you need to over read this article. When you have lost data from NTFS partition, you should stop using the drive right away and perform the follow operations. When the recovery software is well download, you can follow its installation wizard to get is installed to your computer. The installation wizard can guides through the installing process, but you need to choose a path to install it by yourself. Notice: the recovery program shouldn’t be installed to the partition in question. 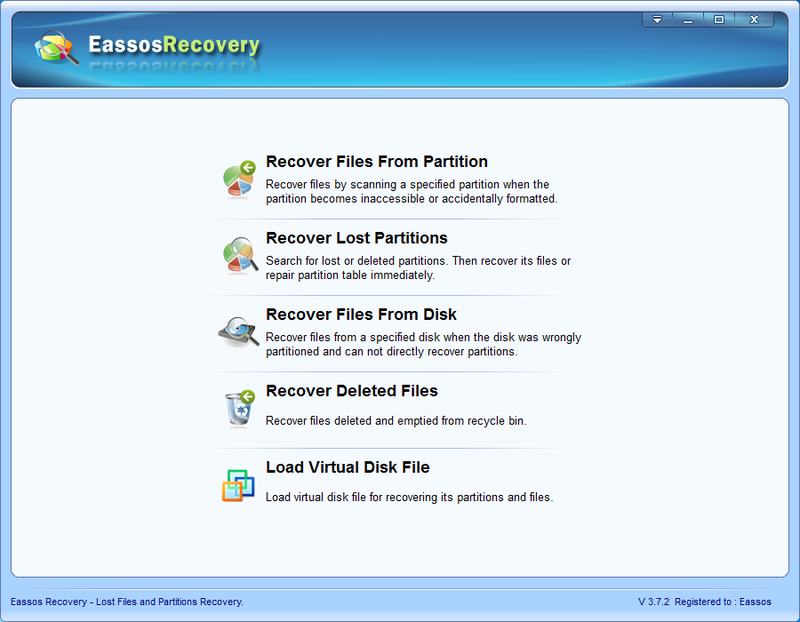 Start Eassos Recovery Free by means of double clicking the icon on desktop. Then you’ll see the user-friendly recovery wizard. 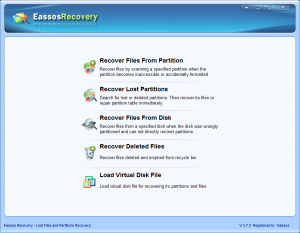 NTFS recovery starts with selecting correct recovery mode. For instance, if partition becomes inaccessible, you should select the first function. Select the partition that loses data and click “Next” button to scan files. This process scan lost files and restores original structure, after which the scanning result will be display automatically. Preview and recover files. Choose all files you want to recover by checking the box next to the name of file or folder, and then click “Next” to get them recovered to a specified location. The above steps finishes NTFS recovery, which is easy to learn as long as you use right data recovery software. 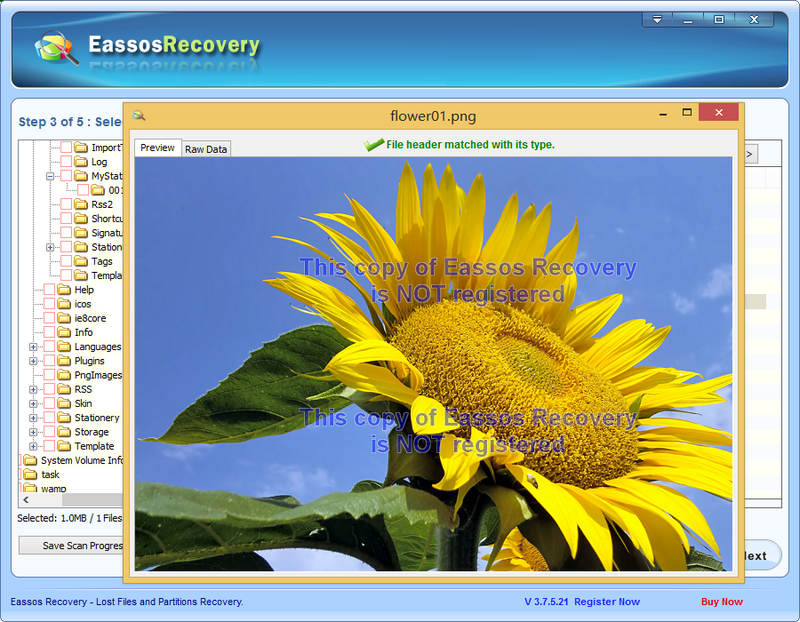 This entry was posted in Data Recovery and tagged free data recovery software, NTFS data recovery software, NTFS recovery, recovery software by EASSOS. Bookmark the permalink.